Our mission is to engage, inspire and connect organisations through the medium of print. By providing high quality print at a fair price, our goal is to influence and encourage effective communication between organisations. Welcome to Doveton Press, Bristol. 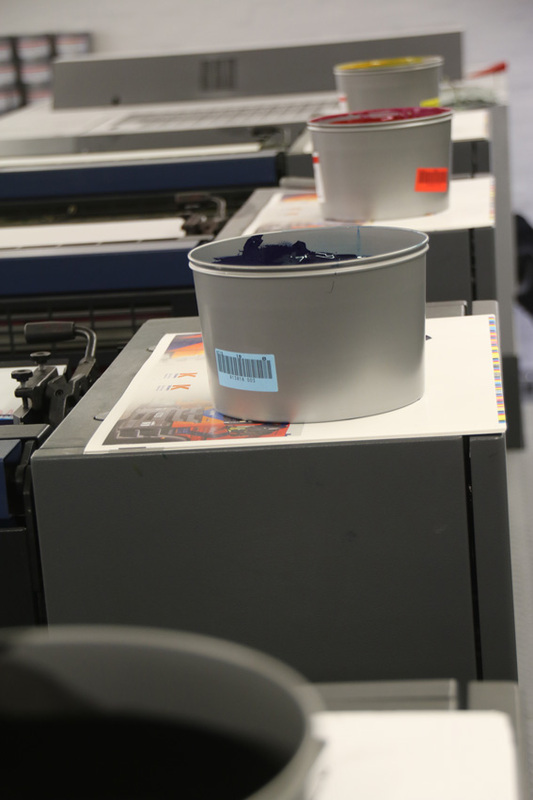 We are one of the leading printers in Bristol offering both lithographic and digital printing. Doveton Press was born out of a necessity for expert printing, with old fashioned service. We have been a family run business for over 40 years, with loyal staff who believe in attention to detail as much as you do. Doveton Press continually strives to keep up to date with new printing technology and environmentally friendly processes, which has kept us at the top of our field. Our directors, team of estimators, printers and finishers are always happy to talk you through any questions you may have. Hi Gavin – a quick note to say thanks for turning this around so promptly. The chief exec is very pleased with them. We had the event yesterday at which they were handed out to around 120 delegates including a few big-wigs from energy companies and government. Only one or two were left on seats at the end, and we had people asking for extras to give to colleagues, which is a good sign. Doveton Press provides excellent customer service – they really care about getting the job done right, and on time. Gavin and the team at Doveton Press have always been very dependable, knowledgeable, detail-oriented, and super friendly. They are proactive in pointing out potential problems and we can always count on them to get our jobs done correctly and to a very high standard! We highly recommend Doveton Press! The Directors Gavin and Mark Savage who have both worked for Doveton Press for over 20 years, took over the family business in 2007 and have been expanding the company ever since. Welcome to our website. Our team at Doveton Press are passionate about print and here to assist you with any of your print requirements and questions. So please take a browse and do contact us with any enquiry, no matter how big or small.